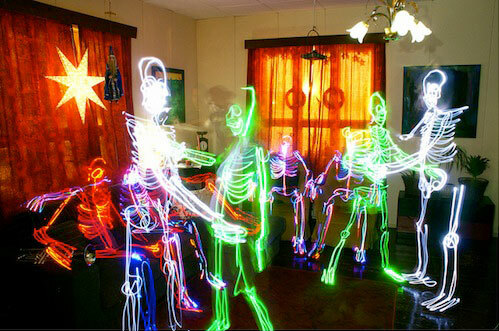 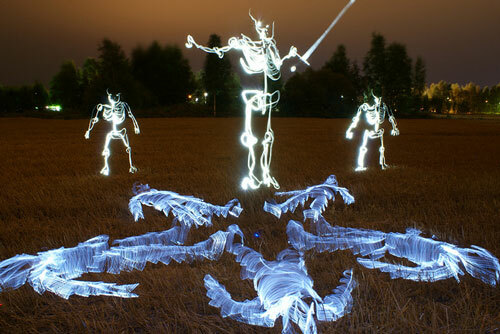 Light painting, also known as light drawing or light graffiti is a photographic technique in which exposures are made usually at night or in a darkened room by moving a hand-held light source or by moving the camera. 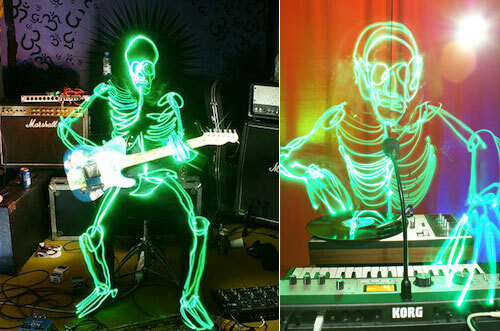 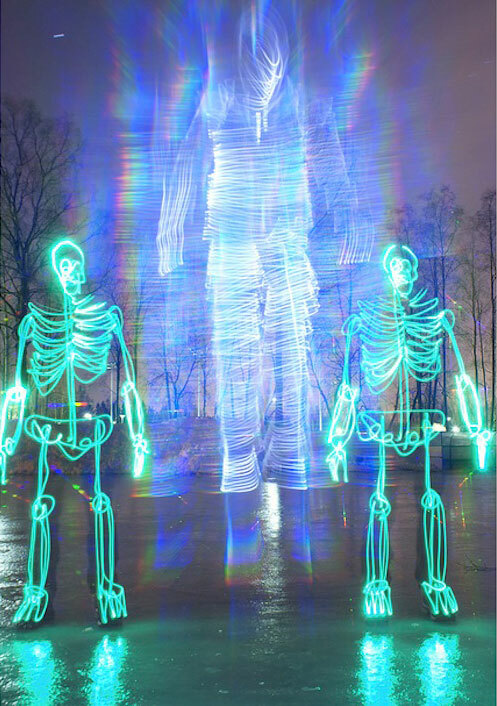 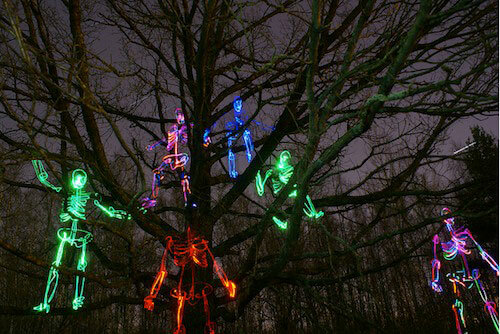 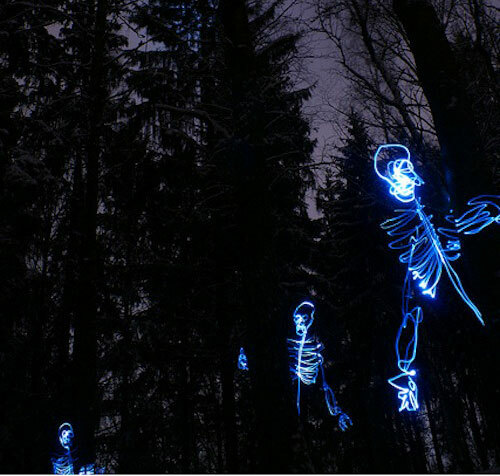 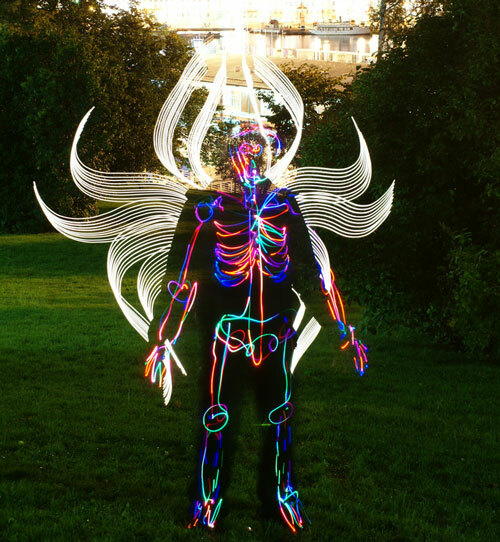 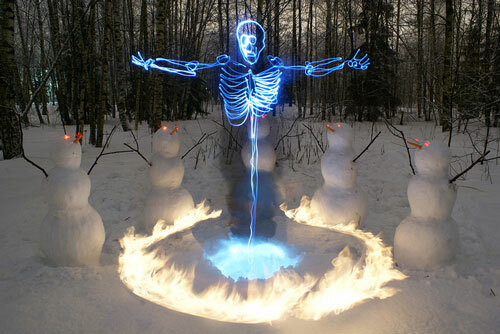 We have featured some of light graffiti artists on our site and today we will have another genius, Janne Parviainen. 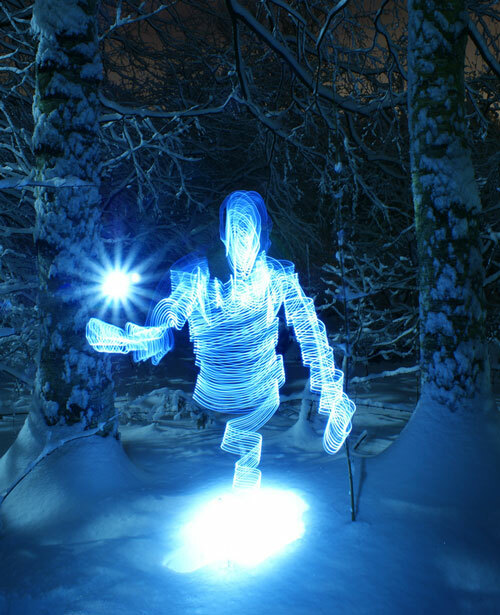 He is an artist from Finland and will show us the art of light painting in this post. 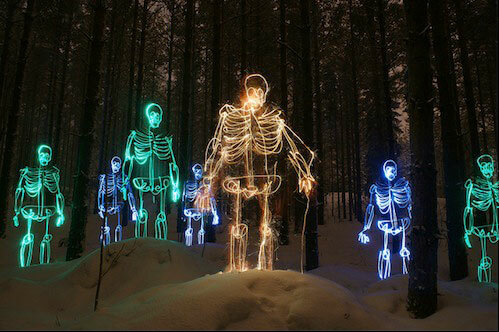 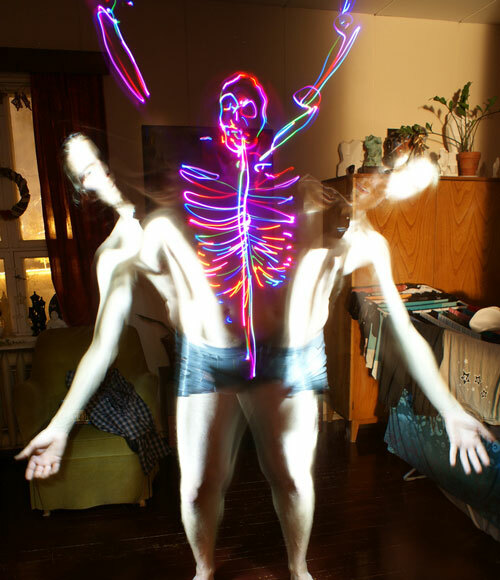 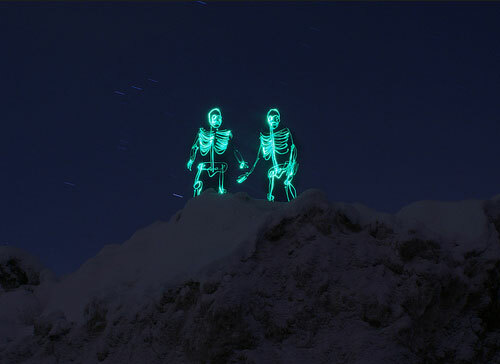 In his photos, you will find creepy skeletons come alive. 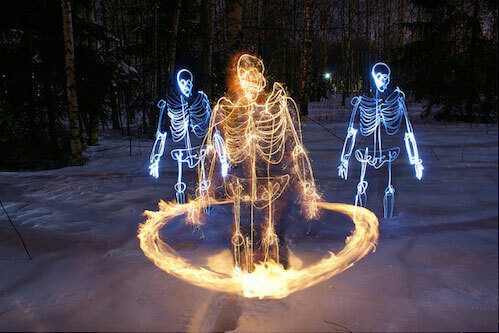 So, are you ready for screaming? 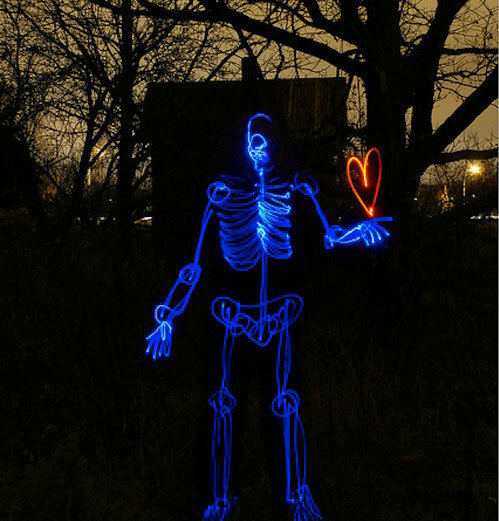 Let’s move on.